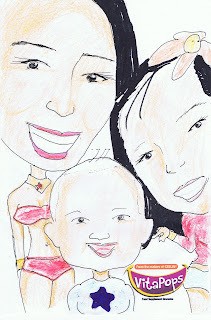 Chronicles of a Nursing Mom: VitaPops: Candy or Health Supplement? One of the activities we attended last August was the launch of an innovative product from Unilab - VitaPops - the first & only pop rocks Vitamin C. The event was held in Active Fun, Global City and was hosted by Donita Rose. Another guest was Daphne Osena-Paez, who like Donita, was an endorser of VitaPops. The theme of the event was "Pop Rockin' Field Trip". I loved how the organizers included activities for the kids, to allow the moms to participate and listen to the speakers and main activity. 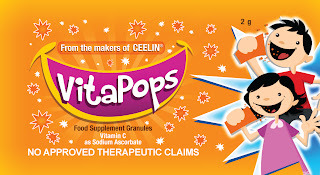 For pictures, please visit My Mom Friday Michelle's album :D Here's a quick explanation of what VitaPops is all about: "VitaPops is the first & only Vitamin C in pop rocks format in the market. 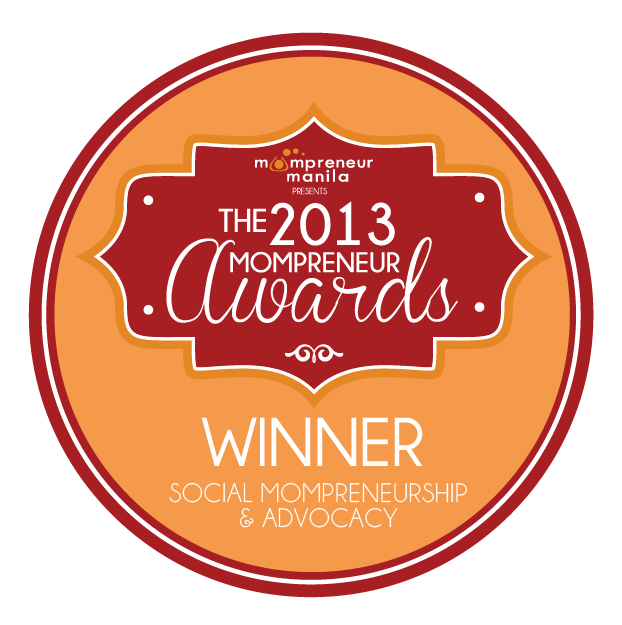 It comes in a single dose sachet packaging, which costs P10 pesos each." One of the activities that day was a panel interview of several mom bloggers (including My Mom Friday) who had earlier been seeded with the VitaPops product. The takeaways I had from the panel interview: "the vitamins were like candy," "it was easy to have kids take them," "they wanted more [than the recommended amount of dosage]". Since a lot of other blogs already talked about the launch and the benefits of the product, I am going to focus on writing about WHY I like attending events like this: I get to meet the people who develop the product and discuss my concerns about the product itself. In this case, I talked to Joseph Aruta (product brand manager) and Jazmin Hernandez (group manager) about some concerns about the product. Top concern here was the market placement of the product. 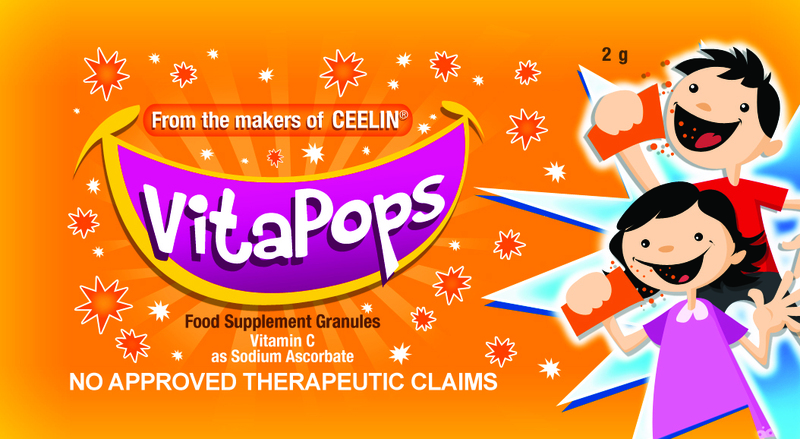 As I earlier stated, the children who tried VitaPops before the launch, unanimously commented that the product was like candy. Because of this, I raised the issue of the risk of overdose with Unilab. One of the panelists, Dr. Liz Tulod-Inciong, a pediatrician shared that although there is no risk of overdosing on Vitamin C because the excess will just come out as urine, VitaPops cannot be consumed indiscriminately since the processing through the body will unduly tax the child's kidney. A caricature of me and the kids! Initially, the product is being sold in drugstores. However, they do plan to expand the reach and sell the products in supermarkets. Joseph assured me that the product will be properly marketed as a health supplement and will be placed alongside other vitamin products. I certainly hope so! The danger here will be lack of proper information and the parents themselves will be the ones to treat the Vitapops as candy and give it to their kids as it is "healthier" than regular candy. Another issue I had with the product was the packaging. The product is packaged in single dose aluminum sachets of 50g. 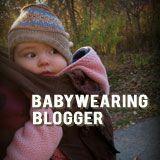 If your child takes 1 sachet every day, that will mean 365 sachets per year! That is a lot of trash! Joseph shared that individual aluminum sachets are necessary to preserve the product's pop rocks format. We then discussed a possible option of using some sort of biodegradable packaging so the environmental impact of the individual sachets would be lessened. He did promise to bring it up with their R&D team and hopefully, they would consider improving the packaging. At 10 pesos per sachet of 50g, VitaPops is targeted for a specific market. Unilab's leading Vitamin C product for kids - Ceelin Chewables cost just P3 for a 100g tablet. This means that to approximate the P3 Ceelin Chewable dose, you would need to spend P20 to buy 2 50g VitaPops sachets. Indeed - this is a very special market that Unilab is targeting. I do applaud Unilab for coming up with this very innovative product - which I believe is the first of its kind. N.B. I always believe that we should be wise and discerning consumers. We just can't accept at face value whatever marketers throw at us and instead do our own research on the benefits and risks of using a certain product. With advent of new media, brands have started providing opportunities for regular consumers to join product launches and events. 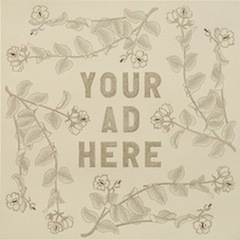 This allows us to get the chance to talk with the people who make the decisions regarding the product and share our experiences/concerns, without having to deal with the customer service red tape.